Top 10 Rap Albums of the Year. Author’s note. I listened to over 50 of the most acclaimed Rap Albums that were released in 2011. The Albums could have been LP’s or EP’s, as long as they were official releases. No mixtapes were considered for this project. I felt this was a down year for hip hop…and I woudn’t give any album a grade of an A.
I was sleeping on this one. Rock brings back the gangsta sounds that I remember growing up listening to. A throwback in that sense, and a great find on Tech N9ne’s new record label. I was hesitant at first, I will admit that. But “Hard White in the Club” is what southern crunk should be. Along with “Animal” a dub step produced beat by Borgore, this album is a great debut for the Alabama native. This album doesn’t have one banger track that you need to listen to with the the exception of Rock n Roll, but it also doesn’t feature one track that is garbage. Solid venture from start to finish. Is it a true hip hop album, well no, but since Barker produced most of the tracks himself, you could argue its more of a hip hop album than Khaled’s album. Basically, the album is Barker’s fav rap artists dropping by on his drum fueled beats. The guest list is extremely talented ranging from The Cool Kids, to Lil Jon to Dev to the RZA. It would rank even higher, if it wasn’t for the 3 non-rap songs on the album. Maybach Music group is grinning ear to ear with Wale’s success, as they now have a vital Pippen to Ross’s Jordan, that can carry them into the rap label elite. Wale shows his versatility in slower cuts like “Lotus Flower Bomb, along with the Diplo produced “Slight Work”. Wale is here to stay, and if you don’t believe him listen to “Ambition” and think for yourself. Rookie of the year, hands down. Led by Marvin & Chardonnay, Sean was able to show that lyrically he is unparalleled. My Last, was a solid radio joint, and Dance…well whats there to say about it…other than God Bless what it has done to girls dancing on bars. My “45” comeback award winner Game, dropped The R.E.D. album in mid summer, and it turned into the most surprising album of the year. 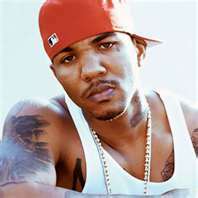 Game, changed his entire style, and welcomed on the most random group of guest artists ever featured on a West Coast Rap Album. And a West Coast Rap Album it wasnt. Instead it was a Dirty South album, an East Coast Album, A Pop-Rap album all rolled into one. E-40, Jeezy, Wayne, Beanie Sigel, & Rick Ross all make guest appearances, but its the duo with Tyler on “Martians & Goblins” that shines above the rest. Pusha has been bouncing around as a featured artist on several different GOOD music label artists, and in late 2011 Pusha dropped Fear of God II, Officially an EP that was a sequel to an earlier Mixtape. Pusha used his connections to secure production from the Neptunes, Shawty Redd & Bangladesh, along with guest performances by Jeezy, Tyler the Creator, Rick Ross, Kanye & 50-Cent. The album is flooded with guest performances (perhaps too many), and Pusha is able to blend in completely with his talented peers. The album’s highlights are “Trouble on My Mind ft. Tyler, and Amen ft. Ye & Jeezy. Often billed as an Eminem album, many people were unaware of who Royce da 5′ 9″ was. However, true Slim Shady fans have been waiting for this for over 10 years. They have the most natural connection of any collaborations of the year. Eminem is at his lyrical peaks, and Royce is easily able to catch up. That was the key to the album. There was no doubt that Em could deliver, but would Royce be ready for his big shot? The answer was an emphatic yes, and at times Royce showed that he can hold his own, and even overshadowing Marshall on select songs such as “I’m On Everything” & “The Reunion” Royce has kept himself busy in 2011, dropping a solo album, and 2 collaborations (Bad Meets Evil & Slaughterhouse), and if this album is any indication, rap fans are in for a great future. Ok, I admit, much like many other critics, I was not impressed when I first heard the album. The prospects of two our generation’s greatest rappers joining forces for an album seemed iconic to say the least, and I expected nothing less. I expected an album that would change my life, and when it didn’t, I felt that they had mailed it in, just using left overs from Kanye’s previous album. I still hold the feeling that they did hold back, and are capable of so so so much more, however, this album is still much better than most of their competition. With WTT, Ye & Jigga, not only changed the rap game (the trend of Rap Collaborations is at an all time high), but they also changed pop culture as a whole. The terms “Goin Ham, and “That Sh^t Crazy now are ubiquitously used on all blogs, websites, and even other rap songs. Their WTT tour has become legendary, with the tour fittingly becoming known by the can you top this multi-encore performance of Ni**as in Paris. Can you say 9 times? Jay and Kanye are ahead of their peers, and they know it….and maybe thats how they have us all fooled. They make it look so easy, and they are having more fun than anyone else. What other artists can give you an extensive lesson in the lives of the bourgeoisie, yet all the while maintaining a direct positive relationship with the proletariat lives of their consumer? I am Watching the Throne, and thats they key to remember, Jay & Kanye own the throne, and don’t plan on letting it go anytime soon. Can A Drummer Get Some – Travis Barker ft. Game, Swizz Beatz, Rick Ross & Lil Wayne. These pop-rap songs came out so close to each other that at times it is difficult to differentiate the two. Will someone tell me how this didnt make the club scene? 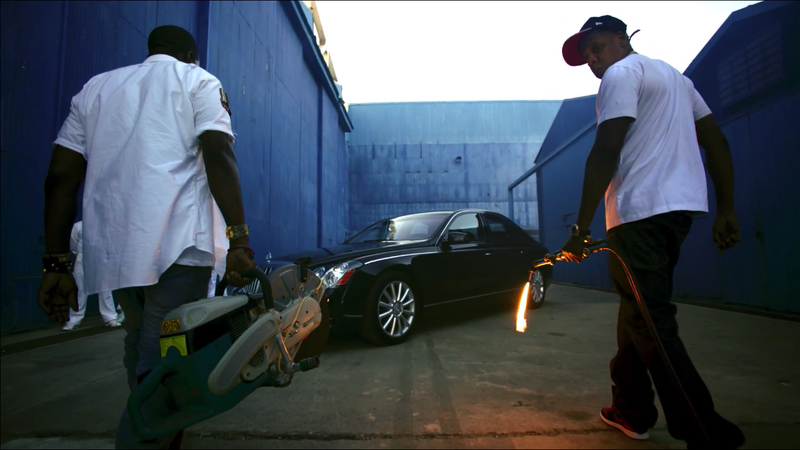 Get em Ace…the street grindin anthem of the year! 21. Poppin – DJ Quik ft. Blakkazz K.K. Quik, keeping the West Coast sound alive with 2nd II None’s KK. Any song that can combine bringing back Hammer, along with promising girls “d*ck today”…is fine in my book. 19. Ready, Set, Go (Remix) – Killer Mike ft. Big Boi & T.I. This is the T.I. that I miss, along with Mike holding his own with 2 of the South’s Heavyweights. The Rock sound doesnt work for all of Barker’s tracks, but the Wu-Tang & RATM anger take this song to the zenith of the rap-rock genre. I’m Park Place, you’re Marvin Gardens. Meek Mill steals the show with the first verse…but it’s the hook that motivates you , and causes you to be proud of being ambitious. Mike Epps??? Yes… Does it work??? Yes, very much so. HAS to be the next single…would be a lot higher on this chart if it wasnt just 2 paltry minutes long. Pusha is nice, but its the walking paradox of Tyler that takes this song up a notch. Make sure to know this is a Wu song…even though it was also featured on Khaled’s album. 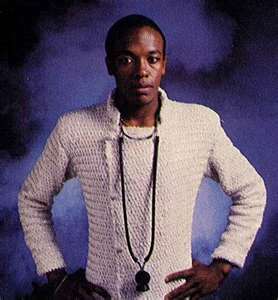 Roscoe, I concur, the 808 snares make me go insane. Fake hyphy or an homage to hyphy??? Further proof that Pusha T had one of the best albums of the year. The future of hip hop production belongs to Diplo, and here he shows why. The one track on the album that didn’t sound like Drake…and that’s a great thing. 4. Martians & Goblins – Game ft. Lil’ Wayne & Tyler, The Creator. M&G did two things for the rap game. 1. It showed that Game is back, even though he cant figure out if he likes Blue or Red better (Including proudly throwing up the Crip sign in the video). 2. That Wolf Haley is the future of hip hop, and that there is no doubt a race for him to be featured on every significant rap album in 2012 (You listening, Andre Benjamin?). Yes, I loved this track the first time I heard it. No, I didn’t think it would become the hip hop club banger of the year. No, I really don’t like the Movie Clip sound bites. Yes, that ish is Cray. No, I really don’t understand what that means. Yes, this song just worked on every level. Misogyny at its best, Kiss features the best beat of 2011, from super-producer Bangladesh. It is also a mixture of two or rap’s top talents battling for the most attention. “Get the hint, a one-night stand”, Eminem boasts, while Royce smoothly reminds every girl the 5 most important things they are in charge of. Man, what is there to say, the first time I heard this on Power 106 in LA I was hooked. Kanye & his top disciple deliver excellent wordplay on this fun track that also was a huge club banger. Roscoe Dash is the current rap King of the Hook and he takes it to another level, all the while being the perfect compliment to the sharp witted rhymes of Sean and Ye. “Hol up, Hol up, Hol up” got you fired up, yet it was the song’s theme that made you ready for those sweet after hours with your new ex-girlfriend. In other words, the perfect combination of Let’s Get Drunk…now Let’s Go Home. 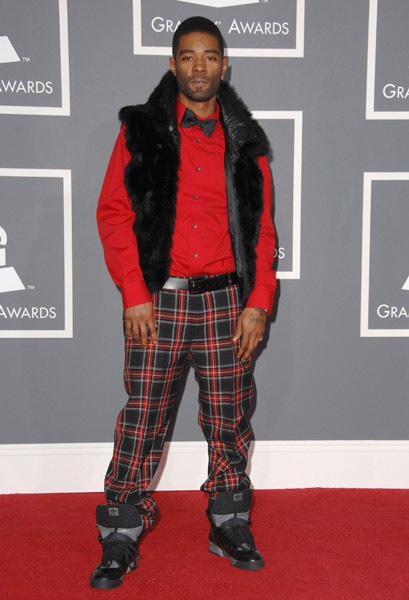 Ok, well it is time for the 2nd Annual Don Julio Hip Hop (Rap) Awards. As Spin, Rolling Stone, & Pitchfork are all delivering their year end reviews, DJ Rolemodel & crew will be presenting this pseudo-year in review of hip hop music. Without further ado, some of the individual awards…. 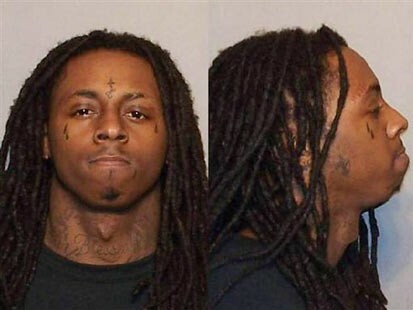 Hands down, this goes to Lil Wayne for “Tha Carter IV“. Lil Wayne, who has never met a song he wouldn’t drop a guest verse for surged in popularity over the last 5 years, and it’s no surprise that his Albums come with a lot of hype. However, with ear-cringing songs like “How To Love” & “Abortion“, it makes you think he has lost his touch. Primarily, he wins this award because we know he is capable of sooooo much more. Given to the years best new face in the rap game, this was an award that delivered lots of star power with J. Cole, Mac Miller, Big Sean, Childish Gambino, all deserving their rookie acclaim. Ultimately, the winner is the Motown’s finest Big Sean with his album “Finally Famous” FF trumped its competitors with huge club hits “Dance” & “Marvin & Chardonnay“. 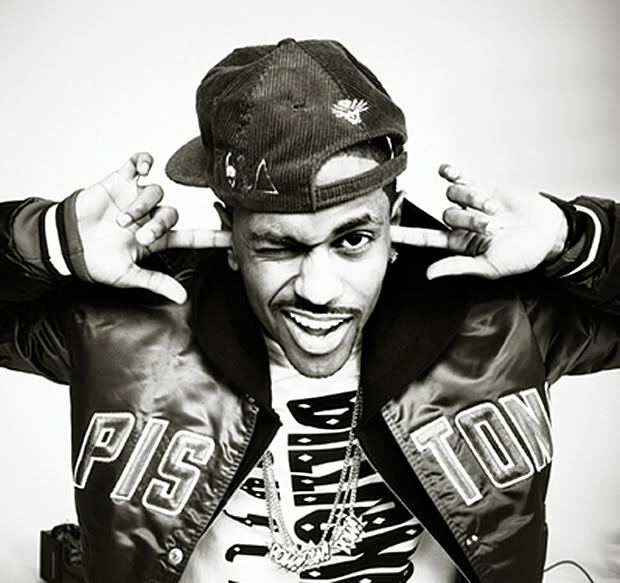 Big Sean was also frequently found dropping guest verses including an appearance on the Diplo produced track “Slight Work” for Wale’s album. 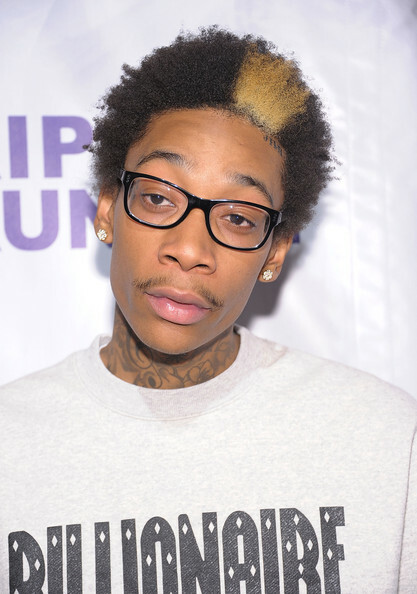 Easily handed out to Wiz Khalifa for “Rolling Papers“. Yes, “Black & Yellow” was a song that was ubiquitous through out the world, and admittedly a song that I really liked…however, the rest of the album is lackluster at best leaving the listener with no reason to replay it since B&Y could be heard anywhere and everywhere. Yes, music videos still exist, and we had to name the award after internet sensation Mac Lethal. Spike Jonze made this an easy choice, with the freestyling, “we are rich and can do whatever we want” shenanigans featured in “Otis“. The guilty pleasure of saluting Fidel Castro, cutting up luxury cars, and well just plain acting a fool, brought me back to the days of high school…a time when music videos were fun. Goes to Bangladesh…the man behind “A Milli” a few years back returned with several huge club hits. It was a big year for Bangladesh with Nikki’s “Did it On Em” & Wayne’s “6 Foot 7 Foot“, but it was his work on Bad Meets Evil’s Album that secured this award. “Kiss” is one of the top tracks of the year, and it brings a sound that is unlike anything else we have heard in hip hop for years. Last Year’s Winner: No I.D. Goes to Game, who has frequently shown that he has a huuuuuge identity crisis, including drastically changing his name from “The Game” to just “Game”. Game returned to relevance with one of the best albums of the year in his quest that he can succeed without 50. The “Betty White” Wait, You are Still Alive Award? 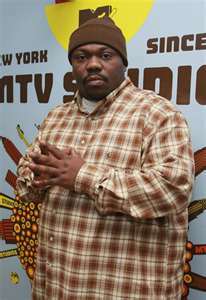 Beanie Sigel…who disproved his death by appearing on both Game and Travis Barker’s albums respectively.